My name is Andrew Mason. I am 28 and among other things I am a recovering addict with 6 years sober. My addiction recovery plays a central role in my financial recovery, perhaps more so than my millennialship. I graduated from high school in 2008 and moved in with my high school sweetheart. Long story short, things didn’t work out and I did not take the breakup well. A poor coping mechanism in the form of heroin was offered to me by someone I knew. It helped A LOT, for a time. After a short while it was no longer a tool to deal with my depression, but a full-on addiction. As you may have heard, addictions cost money, so much money. I was scraping together $60 to $100 a day to support my habit. Prior to my addiction I had been very savvy with money. I started at my community college as a business major. I had a checking account with a bit of money, an IRA, as well as a store card and a student credit card, both of which I paid in full every month. I never missed rent or utilities payments. All of that was quickly gone. This was shortly followed by me purposely overdrawing my checking account, draining my IRA (at a stiff penalty), and cash advancing my credit cards as much as I could without any intention to pay them back. Both credit cards were later sent to collections. I decided it might be time to get away and so I went to a university in another city for which I racked up my first private student loan (Wells Fargo). Moving didn’t help much as my addiction followed me and progressed. While at the university I got into a car accident while racing to pick-up dope, I overdosed, and got arrested for the first time. After my overdose I was put into a rehab mid-semester which was ok since I was failing my classes anyway. My insurance covered a bit of my stay, but I still owed $1,000. Like my credit cards, my rehab bill was also sent to collections. After leaving rehab I did well for a time, but then again returned to my habit. I was stealing from friends and family to get high. I apparently needed a second arrest to open my eyes, which I got on June 1st 2012. I had gotten high and nodded off in a Taco Bell bathroom. I woke up just as the police got there. The next day I went to live at a halfway house and June 2nd, 2012 became my sobriety date. After about 3 months of living at the half-way house I decided it was time to get working again. I got a job at a sandwich shop and started going back to school at the community school I had attended previously, this time I was a psychology major. This is about time that my financial recovery started. With a job I was able to get a new checking account and start saving some money. I had probation fees from both my arrests which were my first priority and I worked out how much I needed each month for those, $100 total. I then pulled my credit score (660) and my credit report, which was how I found out about all of my accounts in collections. I started with my smallest balance accounts first, the smallest of which was my overdrawn checking account. I contacted the bank and asked how much it would be to get squared up. They said I had to pay the negative balance plus a fee. After a couple of months at my job I was able to pay that off. Next was my store credit card. I called up the collection agency and worked out a payment plan, they said that if I paid $150 a month for 6 months, I could then pay the remaining balance at a discount. This is what I set to do. After that was paid I moved on to my student credit card that was in collections. I called them up and they offered me a similar deal, but without a set time to get a discounted balance, I was told that I could periodically ask for a payoff amount. I continued to pay this until I was given a payoff amount that I could pay in full. Since my ultimate goal was to get my credit and credit report good enough to buy a home, I researched what to do next. I read that hospital collections of $1,000 or less, which was what my rehab bill was, didn’t have much impact on a mortgage application so I left that one. Mortgage applications were on my mind since I had recently moved in with my then girlfriend, now wife. I then went on to improve my credit score by adding good activity rather than undoing bad activity. I saved up $300 and got a secured credit card from US Bank. I used it very responsibly, only using it for gas and paying it all off every month. After about 6 months with this card I received an offer for a credit card. It was from Credit One Bank. Eager to improve my credit I accepted the offer and got the card. In retrospect I should have waited for a better offer because this card had an $8 monthly fee in addition to a high interest rate and a yearly fee of $95. Nonetheless I used it responsibly until I got a good offer from Capital One which I took and then cancelled the Credit One card, something I later learned may have not been the best thing to do, but it was costing me money whether I used it or not. I eventually received another offer for a different Capital One card, which I also took. I was back to my responsible habits with these cards as I have paid off the entire balance every month for the last 4 and a half years with the exception of a month or two where I carried over a small balance. Through my financial recovery I also entered into an educational recovery. I was able to transfer from my community college to a state university in Tempe, AZ which was driving distance from where my wife and I lived. I graduated with a BA in Psychology in 2014. I only had to spend one intense year at ASU, but that year racked up more student loan debt, luckily this time it was federal. With my degree I was able to get a job at a non-profit autism center. With this job came my first opportunity to contribute to a 401(k). My employer matched up to 3 percent. I started off contributing 2 percent receiving a 1 percent match. I then increased to 6% to receive my full match. I became fully vested in November 2017. I have since changed employers, rolled my 401(k) over and currently contribute 6% to again receive a full employer match. My wife and I opened a joint bank account at our local credit union and applied for our first mortgage. They advertised options to only put 3% down. 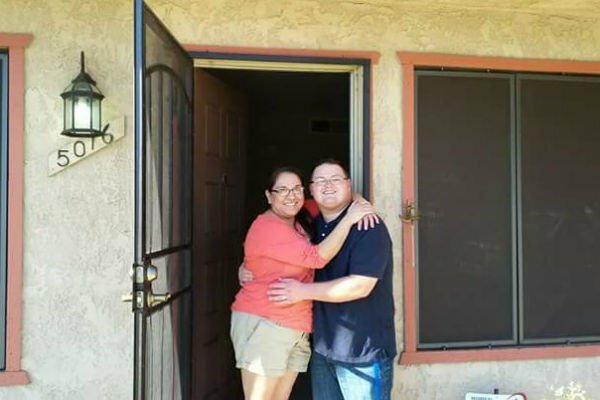 We applied and got accepted, however this wasn’t a very useful loan, due to my still low credit score we were only approved for an FHA loan. With this loan came restrictions when buying a townhouse or condo, which was what we wanted to do. Any potential townhouse had to be part of a pre-approved list. Most of the townhouses we wanted were not on that list. In addition that restriction, the FHA loan required extra insurance. We decided to pass. We continued to work on our financial situation and 6 months later, we applied again and got approved for a traditional loan. Luckily one of the townhouses we wanted was still for sale so we got it below value. Our payment even with HOA costs is within $10 of what we were paying in apartment rent. Now we are homeowners and we have a garage! 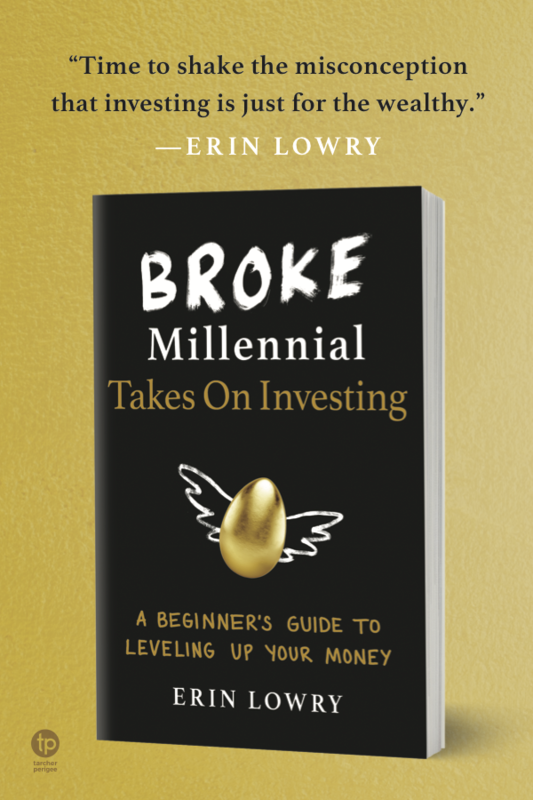 We both opened up Roth IRA savings accounts at our credit union, but after reading your book [Broke Millennial] I was inspired to shop around for better rates. I was able to open up a Roth IRA and a savings account at Ally bank, both of which have tremendously better interest rates. We currently have $1,500 in savings! Oh yeah I forgot to mention in the midst of my recovery I was able to finance a car at a reasonable interest rate. The loan length was 5 years, but with with an aggressive payment plan we were able to pay it off in 2 years. Then we tackled the next smallest loan, one of my wife’s student loans, which has since been paid off. I have been paying the Wells Fargo loan on time every month for about 3 years now. This private loan was one of the worst decisions I have ever made. It was a high interest rate. I borrowed $14,000 and after paying every month for 3 years my current balance is about $20,000! This loan is the next to pay down quickly to minimize how much interest I end up paying. After getting my job at the autism center I attended online grad school for a MA in psychology. It admittedly hasn’t done much for my career. This degree was also funded by federal loans. I recently consolidated my federal loans, got on an Income-Driven Repayment plan, and got set-up to start making payments on the Public Service Loan Forgiveness plan since my work is a 501(c)3 non-profit. I also have been giving my mom money since she had signed up for a Parent Plus loan. I also recently opened a mutual fund account with Aspiration. My mutual fund only took $100 to get into and it is made up of progressive companies. Companies focusing on renewable and green energies as well as positive business practices. We only have $25 going into it monthly, but it’s something I hope to be able to put more into it in the future. I have come a long way since my addiction and financial despair. I monitor my credit monthly through Capital One, which gets its scores through VantageScore 3.0, and it is now around 760 which I think is a big improvement. I probably won’t pay my hospital bill off since it will reach the 7 year mark, and fall off my record, in about a year and a half. So our plan now is pay off our remaining students loans aggressively, starting with the one with the highest interest rate which to start is my Wells Fargo loan. 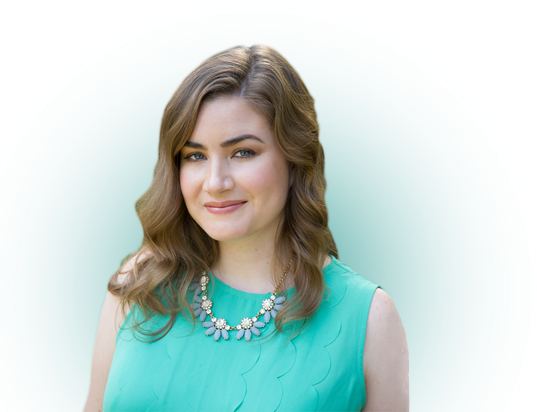 My financial life started off strong until it was rocked by my addiction. Eventually I got clean and with a sober mind I sought to correct the financial mistakes I had made. Through personal financial education I learned the steps I needed to take in order to get my affairs in order. I now own a home, a car, have credit cards that I pay off every month, have a safe amount of savings, have begun planning for retirement and have a plan for tackling my remaining debt. I have come a long way and look forward to continuing to strengthen my family’s financial future. Andrew Mason was born and raised in Phoenix, Arizona. He currently lives in Glendale, Arizona with his wife Loren and their two dogs. Mason graduated from ASU in 2014 with a Bachelor’s in Psychology and in 2016 he earned my Master’s in Psychology through American Public University. He currently works as a clinical research coordinator at a local children’s hospital. After getting his financial life in order Mason and his wife decided they would like to travel more and so they created a healthy travel budget to go on two trips a year, one domestic and one outside of the country. A couple of years ago, Mason was strike by the importance of decreasing his environmental impact. Mason and his wife have changed their shopping and living habits to be more sustainable. He was accepted into the Master’s of Sustainability Leadership program at ASU for the Spring of 2019. He chose Spring of 2019 so that he’d have enough time to save money for tuition, no more student loans! In the future Mason hopes to continue strengthening his financial life and to help make his community more sustainable. Have a Broke Millennial No More story you want to share? Email your pitch to team@brokemillennial.com! I really commend you for your honesty and achievements Andrew. I couldn’t have read this at a more perfect time and your goal-setting and educating yourself are tips I will take to get my financial life together. Best of luck to you and your wife and thank you again for sharing this with us all! Great story Andrew, I’m nearly two years sober and hope to find the peace you have someday. Wow what an inspiring story! You make it all seem so simple, but nothing about this had to have been easy. Keeping going Andrew! Thanks for sharing! Way to go Mason! I love hearing stories like yours where you come out on the other side. I’m so happy you got clean and took control of your life instead of letting the drugs control you. You have so much willpower and inspires others every day. Keep up the good work.